sprockets & ancillary components for many market sectors. Silcoms have many years experience in the design and manufacture of shafts, sprockets and ancillary components both in terms of supply of like for like, or bespoke. It is common place for a number of industry sectors for the shafts to be replaced as and when the sprockets and chains are being replaced. This is because of the on-site installation difficulties caused when trying to remove existing sprockets from existing shafts, and then trying to position correctly on site new sprockets onto existing shafts, whilst maintaining sprocket tooth alignment, which is essential. 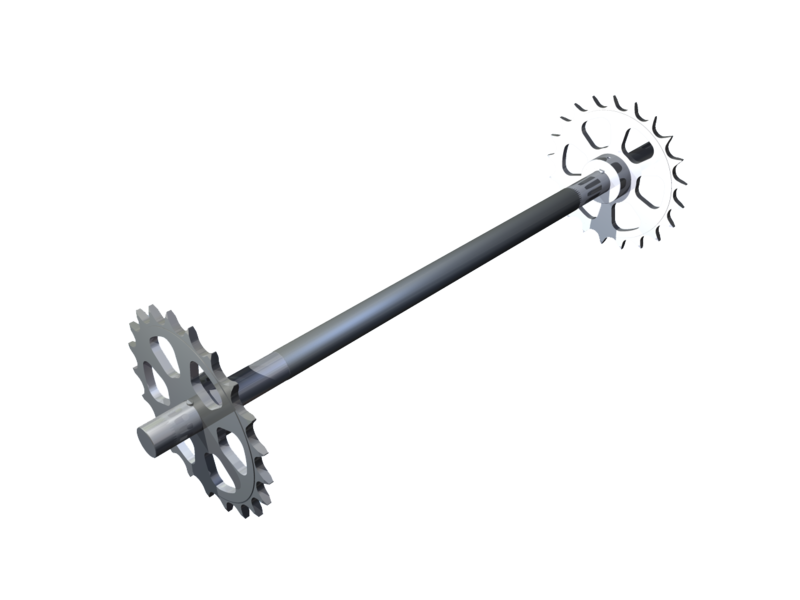 Silcoms have 30 years plus experience of supplying the complete shaft and sprocket assemblies both drive and tail ends. We have the experience of evaluating shaft & sprocket details in situ by on site surveys which can be organised, both through the normal working week, or at weekends dependent on site production availability. The shafts can be manufactured to various material specifications and finishes, and can be completely certified to meet our customer’s needs. We have experience in assisting our customer’s requirements in terms of evaluation of existing shaft materials to enable re-design of shafts in terms of greater load and torque capabilities. 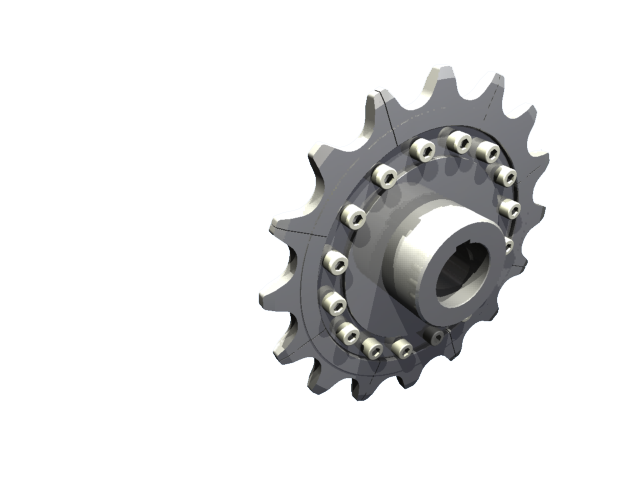 Sprockets are a complex component in terms of design. It is important the correct sprocket type is selected to fit the correct process. Silcoms can utilise years of experience in many industry sectors to ensure we offer a fit for purpose solution. It is extremely important when assembling fixed sprockets onto a shaft, the correct industry tolerances are maintained in terms of tooth alignment especially when we are looking at shaft assemblies over 5 metres plus in length. 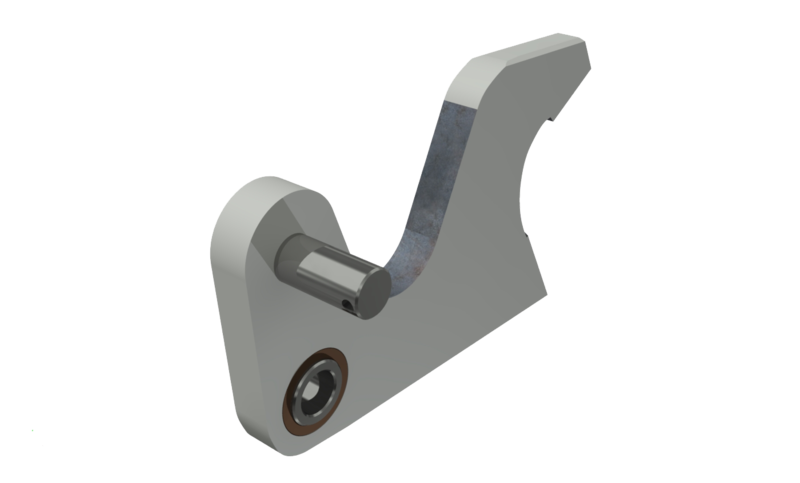 Once again this is a key factor in our shaft and sprocket assembly methodology. Silcoms also design and manufacture ancillary components utilised within various OEM food processing dryers. The components in question are known within the industry as “Flight Pans”, and “Flight Pan Shingles”. In general the material utilised for these components is stainless steel. Silcoms have once again utilised years of experience in providing our existing customers with re-design of “Flight Pan” and “Flight Pan Shingles”, to both enhance “Flight Pan” loading capabilities and expected production life cycle period. The “Flight Pan” and “Flight Pan Shingles” fit as an assembly into various types of chain designs with attachments. If you need industrial engineered, shafts sprockets or ancillary components general, why not call one of our friendly team on 01204 466 070 to discuss your enquiry. We are happy to take information by telephone, or e mail.